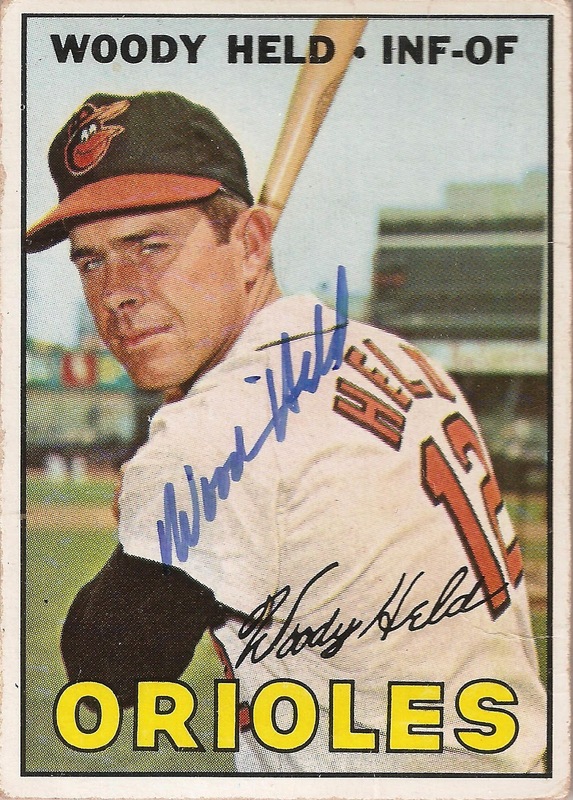 These were the only two cards in ’66 the set with this logo. All the rest had what I consider the 1966 cap logo. 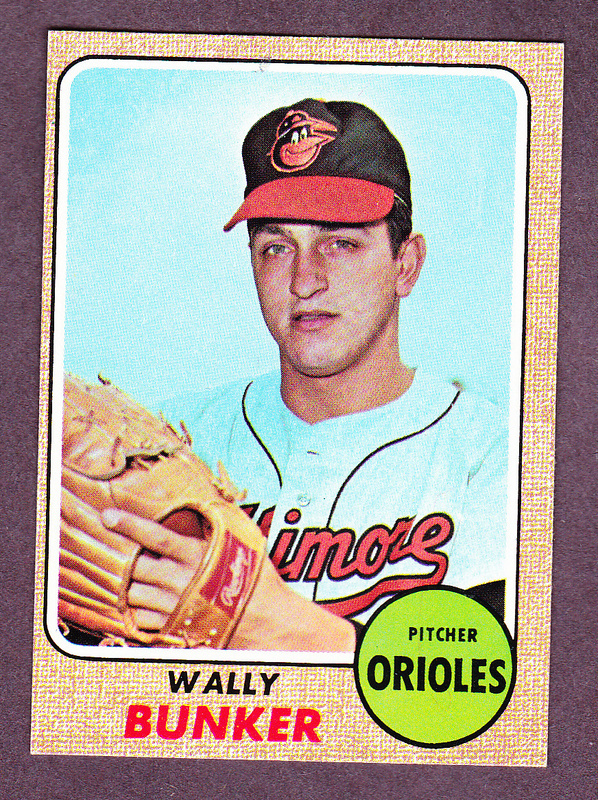 These are are all Topps cards, 1967-1970, respectively. It’s funny how you can’t not notice something once you’re aware of it. So here’s my theory on this “new” logo. It looks as if it’s a silk-screened, flat, satin patch. I don’t think it’s embroidered. 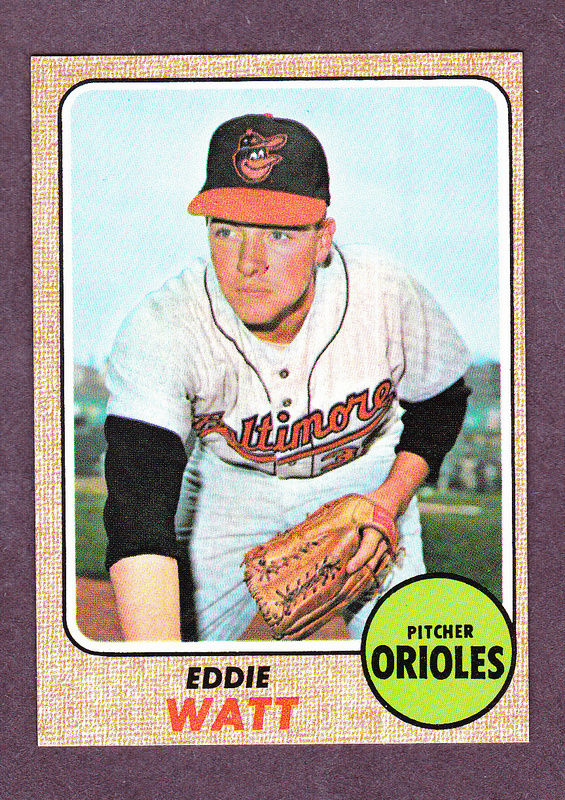 This accounts for the strange way it photographs (compared to the embroidered logo) on the old cards. 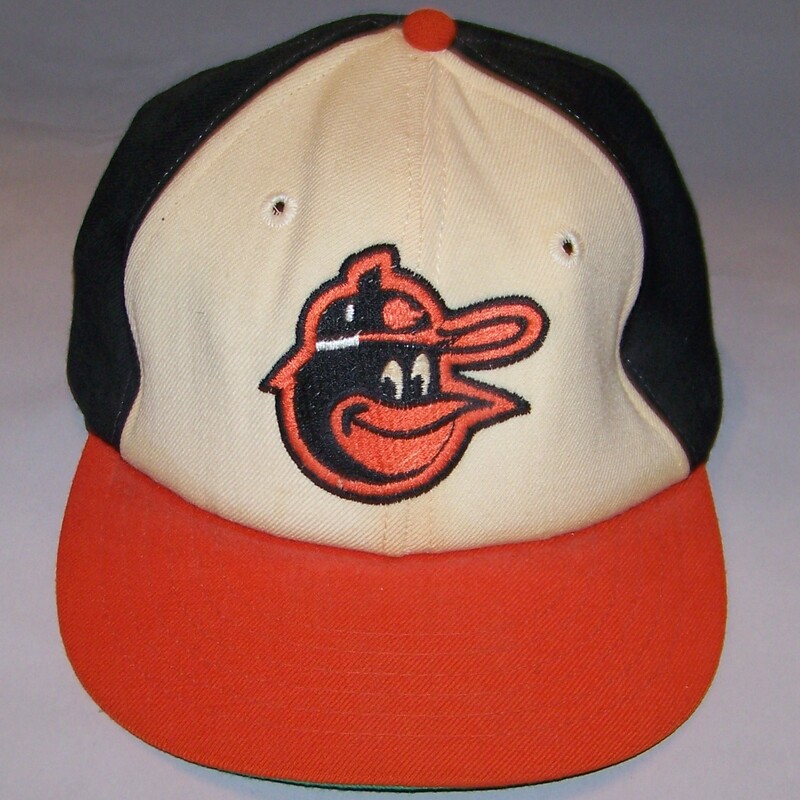 What I’m thinking is this was the very first Cartoon Bird cap logo, a sort of prototype that they slapped on the caps and issued in limited supply, most likely during ’66 Spring Training. 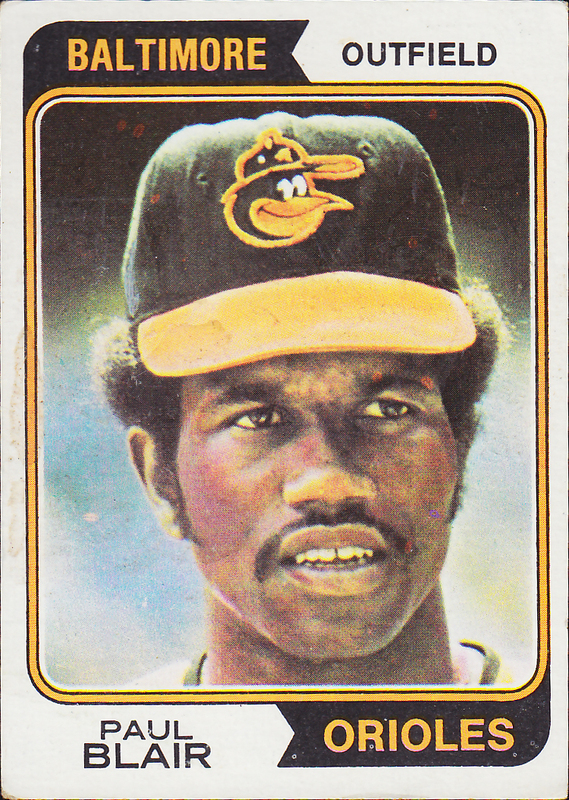 Then soon after (or maybe even simultaneously) Wilson put out their newly refined, embroidered logo caps, and that’s pretty much what they stuck with on through to ’73-’74. 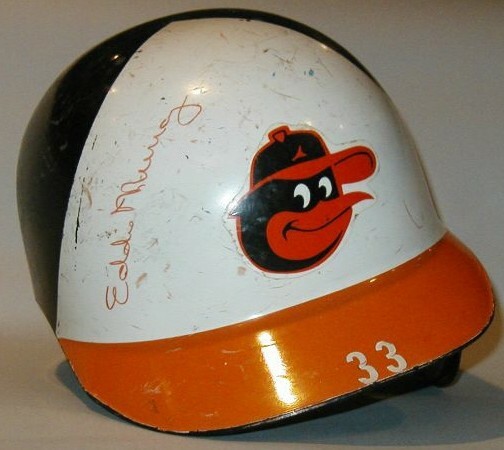 Of course a few of the players would continue to wear this cap for the next year or two, as MLB cap regulations weren’t as strict back then, especially for a nearly identical cap. This turned out to be the most difficult logo to replicate, as we didn’t have the nice big image files to work with that were available for the other logos. Welcome back to the flock! Once again, special thanks to Matt Strackbein for taking time away from his busy graphic design job to graphically render these logos! 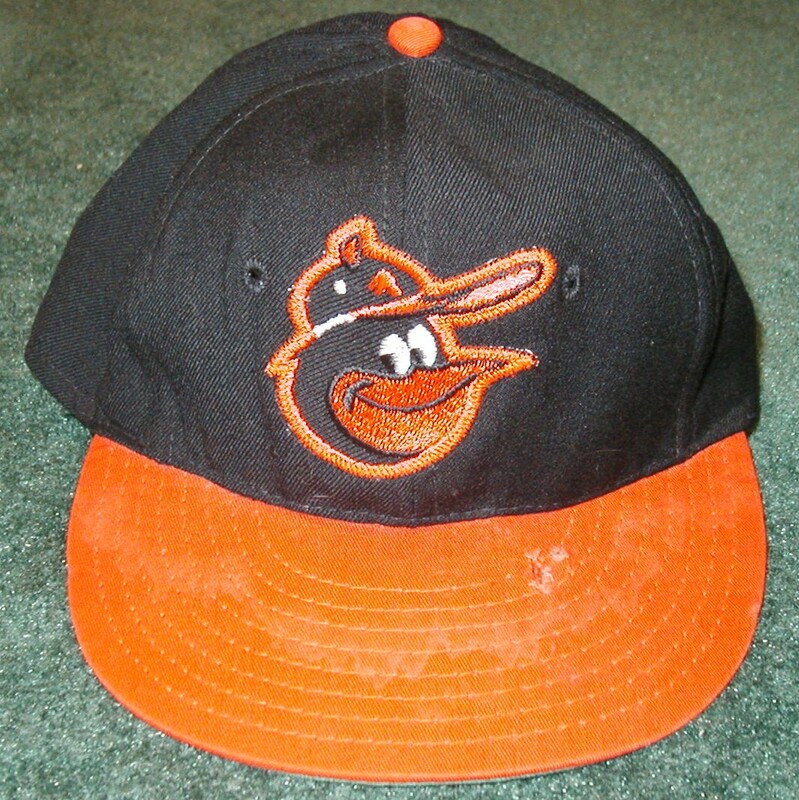 Baltimore Orioles cap logo 1975-1977 (note that this is the same design as the previous logo. 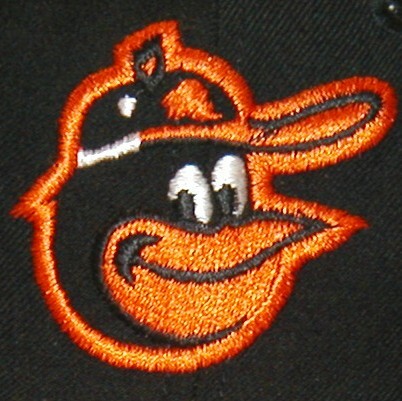 The black outline is visible against the orange background. When taking on a project like this one, recreating decades old logo art with modern day software, you quickly realize a few things right away. Most obvious is the fact that the logos were likely created by hand, whether actually drawn by hand or rendered by hand for decals, embroidery, screen print etc. Therefore nothing is exact…no perfect curves, straight lines or angles, and so, much of the re-creation process becomes interpretive. Small decisions are made along the way with lots of editing afterwards, in a constant struggle between “making it look right” and “making it look good”. These decisions are left to the individual doing the work and the outcome could change from person to person. So one must embrace the essence of the original logo art, and try to capture that spirit in the end. I personally like the “crude” aspects of the old logos from the 60s and 70s, but my modern day software (Adobe Illustrator) can’t help but make everything look polished and neat. I have cut out rubylith masks by hand with a knife before, and while I am thankful those days in graphic design are behind us (it was not easy), I still appreciate the compromises that were made over the years to get the best results possible. And so when I say I wanted to maintain a degree of “crudeness” what I actually mean is I did not want to sacrifice or completely hide the various by-hand-individuality that has traveled through time with the actual logo art. Basically, my effort to restore these logos was more a task to preserve the secret legacy of each one, the craftsman who took part in their various renderings and uses, more than a task at recreating them exactly as they were. And, above all, I sacrificed my own personal art style, and relied only on technique and skill in order to get as close as possible to the original artwork I was presented with as resources (decals & embroidery mostly). I record these thoughts, because they are important to me as a commercial artist, and also because my appreciation for the history of graphic design increases a bit more with every job. 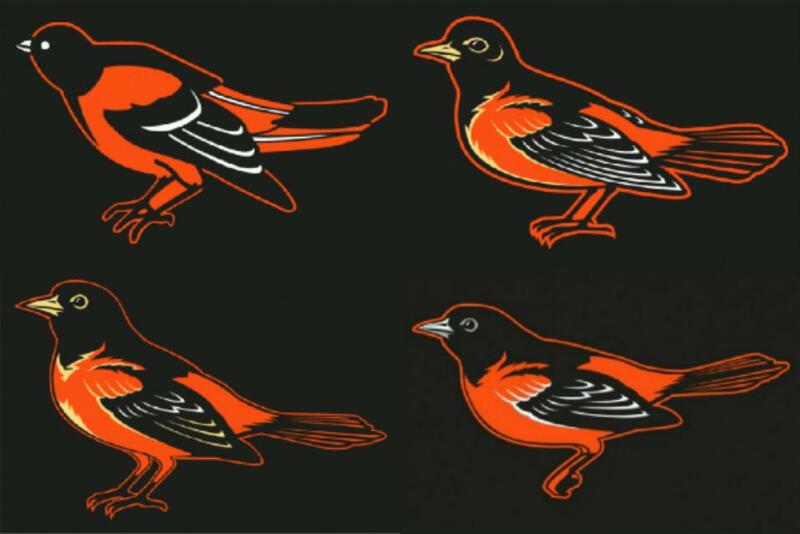 Great pains have been taken to bring colorful characters and images into the world, in this case the Oriole Bird, and those images have made every single one of us joyful to one degree or another. So why not show equal effort in restoring them? 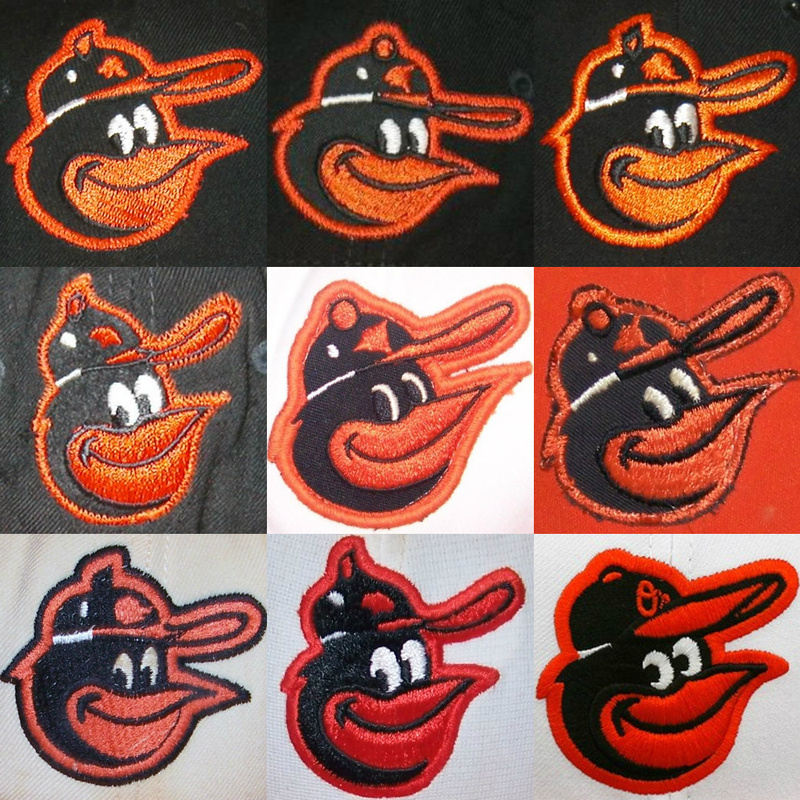 One other note in regards to the Orioles’ logos from one to the next…never, as far as I could tell, did elements repeat. Meaning I do not think anyone ever borrowed from a previous version, and must have started their design process over entirely each time. The shape of the eyes is always different, as is the space between them. The angle of the head is sometimes tilted, sometimes not. The brim of the cap changed often too, and is more representational than illustrative. That said, it is obvious that it is the same character throughout the years…the same Bird. Same expression, same smile, same tuft of hair in the back, and same profile. From a distance such comparisons may be lost on us, but when you’re in close, as I was during this task, you see the subtle differences as easily as the large ones. Apparently, the logo designs were handled differently each time, with some hint of the artist or artists individuality peeking through, and I for one find that fascinating. 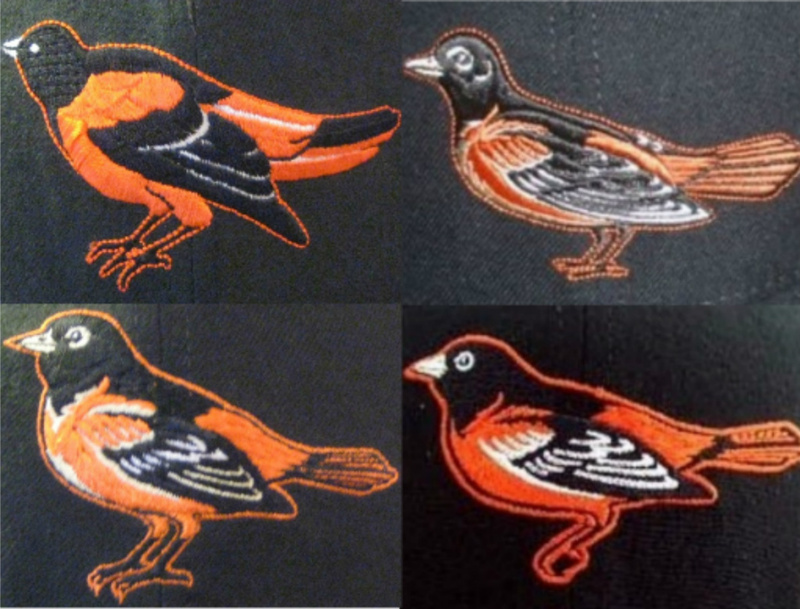 All of the known variations of the official, on-field Orioles Cartoon Bird cap and helmet logos. Which one is your favorite? 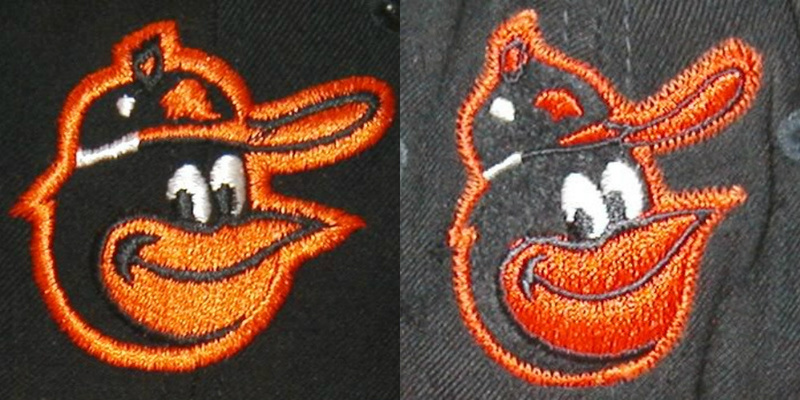 I’ve never particularly had a problem with the different variations of the realistic bird cap logos. 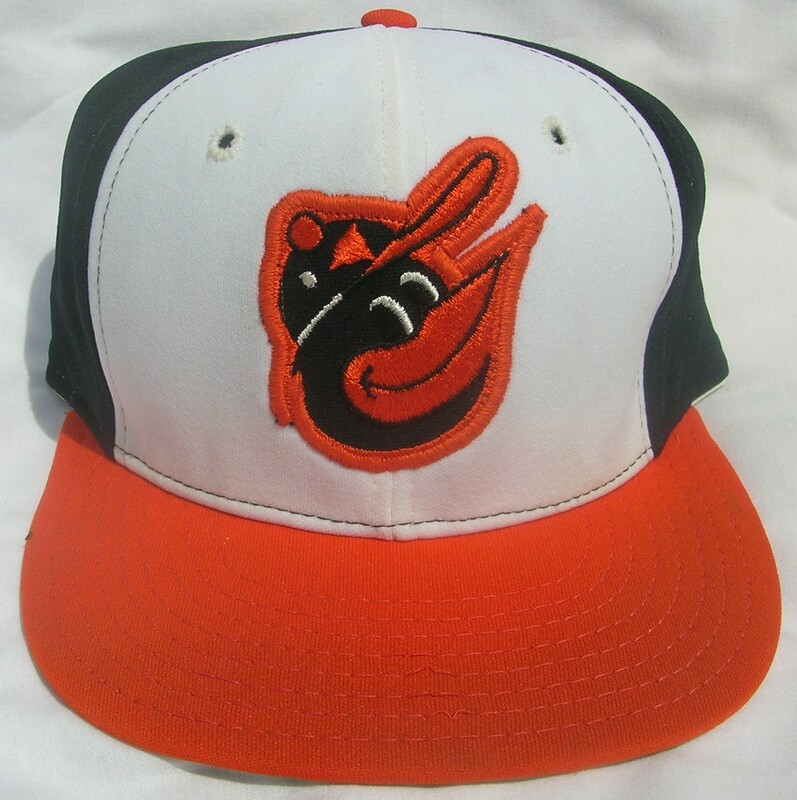 When it was introduced, the Orioles had just been through a few losing seasons, including their worst in 1988, so I think at the time, (1989) putting a new version of the realistic bird on their caps was a refreshing change. That’s right around the time I started seriously following baseball and I remember being very excited about that hat. 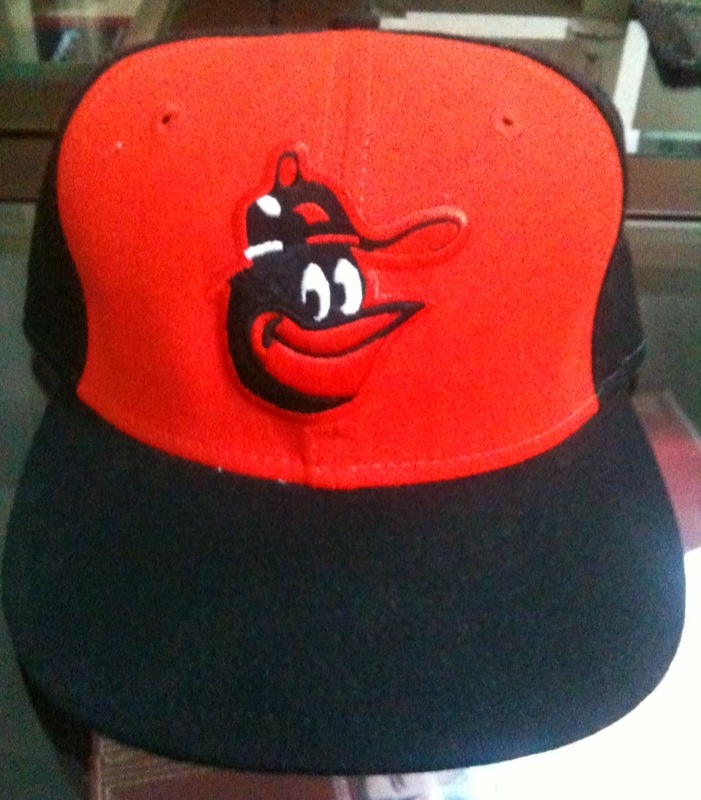 In fact, it was my first authentic, on-field cap. 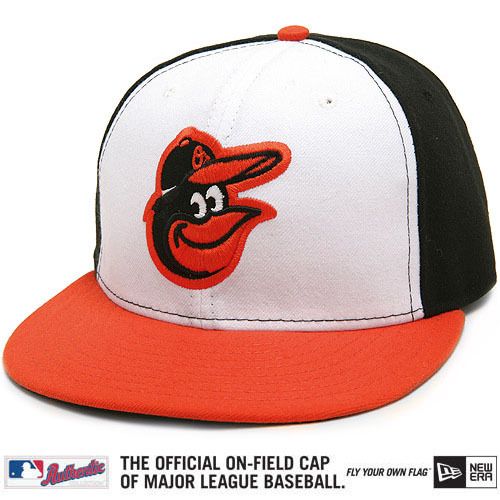 I think that cap logo also fit in well with the Birds moving to Camden Yards in ’92. 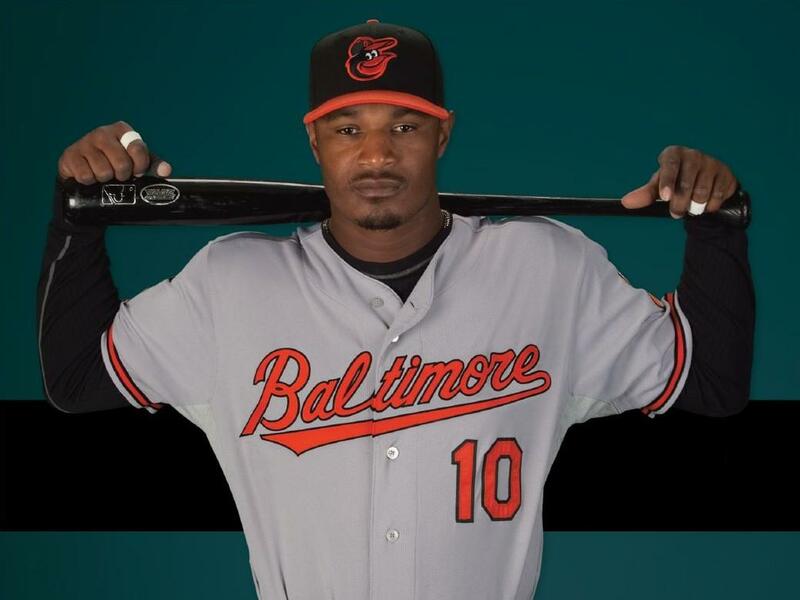 That said, if the realistic bird ever makes its way back onto the caps again, I think it should be as an alternate only. 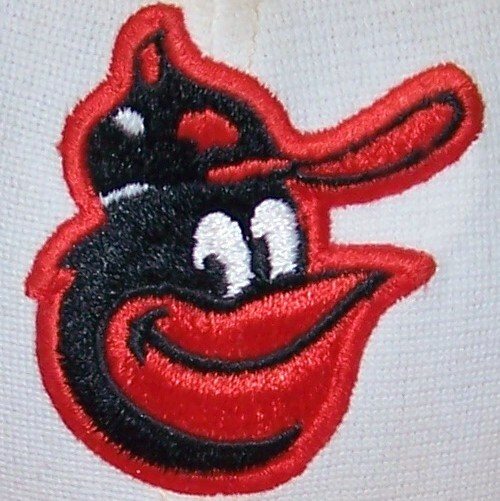 The Cartoon Bird has proven himself as THE classic Orioles logo. I’m glad to see him back, and hope he’s here to stay! 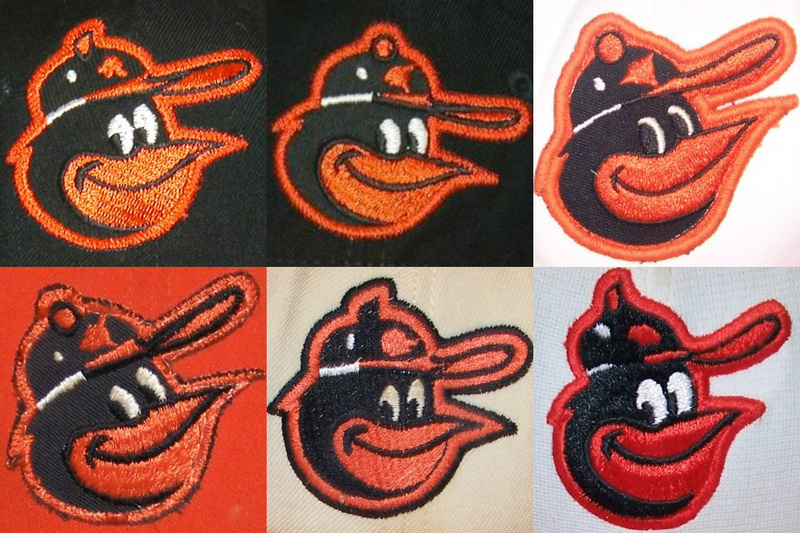 Who would have thought that the Orioles would not only bring back the Cartoon Bird, but the ’75-’88 white panel too! Bonus! 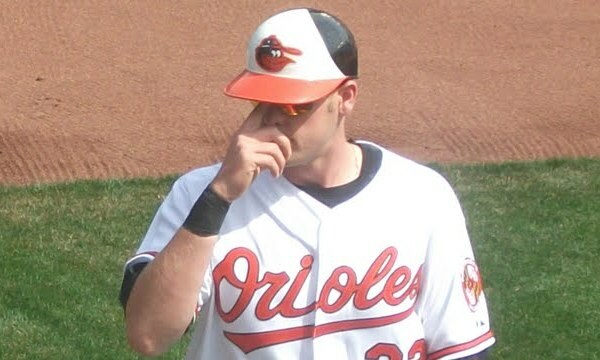 The white panel cap is a unique look to current day MLB cap styles, and now that the Orioles are the only team sporting them, I think they really have a chance to own this look! Reminiscent of the ’66-’74 caps. 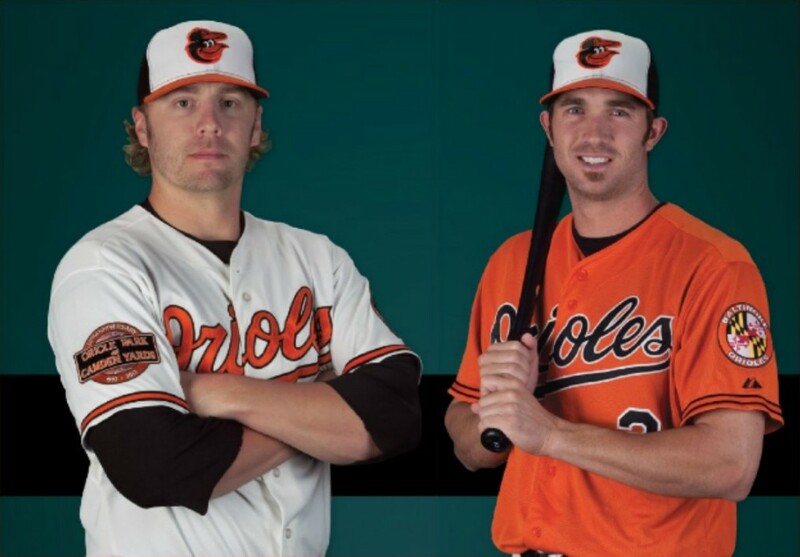 Of course I’m biased, but this has got to be the best looking uniform set in MLB right now! 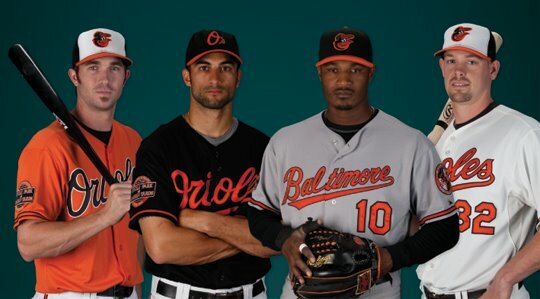 They even brought back their orange alternate jersey! Double bonus! The new logo really fits in perfectly with the past logos. And here’s the entire Cartoon Bird family! Special thanks to Neal, for providing “The Bird Is Back” banner. 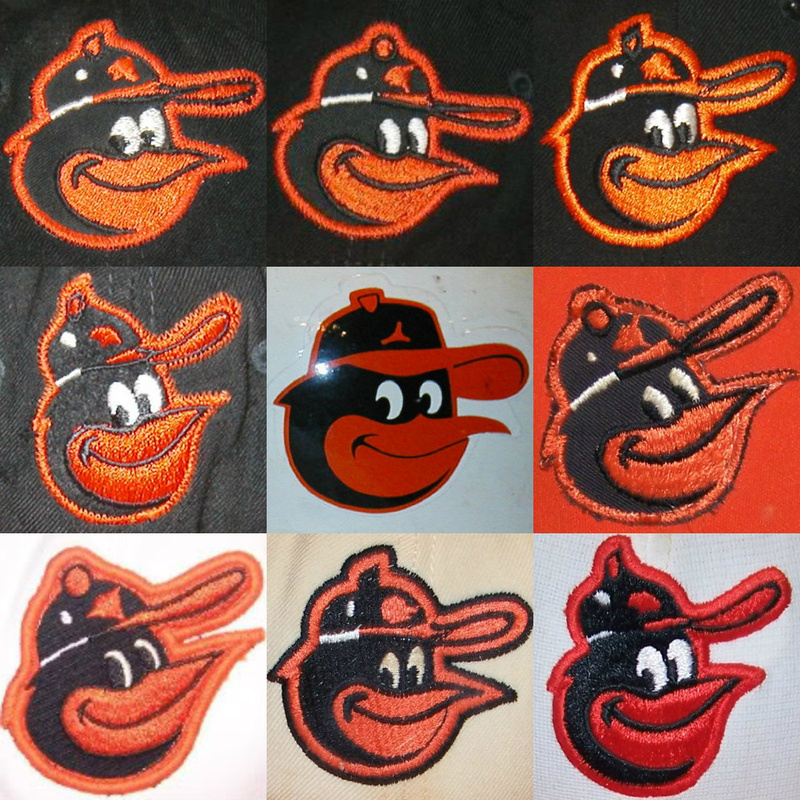 Studying pictures of the Orioles cartoon bird helmet logos from the ’60’s-’80’s, you’ll notice a lot of inconsistency. Although I don’t have nearly as much information and examples about the helmets as I did the caps, I think I may have discovered the reason for these inconsistencies. It’s because the logos seem to be painted or maybe stenciled onto the helmets. Some even appear to be hand painted. Looks like they let a local kindergarten class paint these things! 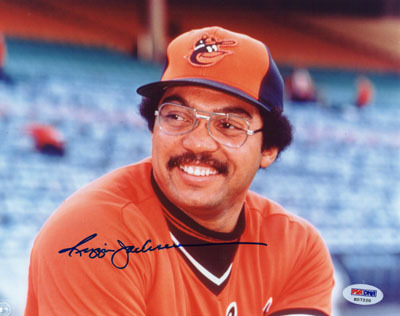 Obviously, this decal would solve the problem of the early inconsistencies with the painted helmet logos. 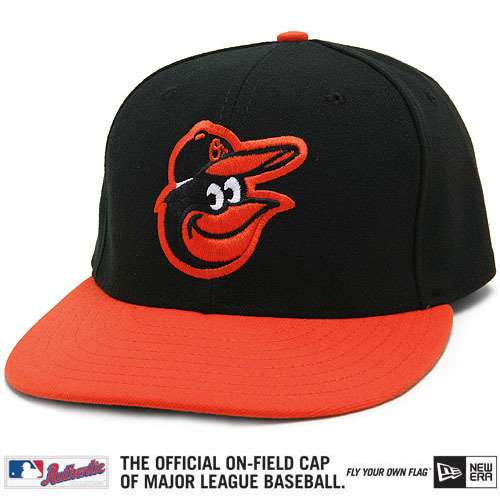 Notice that it’s similar to, but not quite the same as any of the cap logos in my previous article. That’s about all I know of the helmet logos. 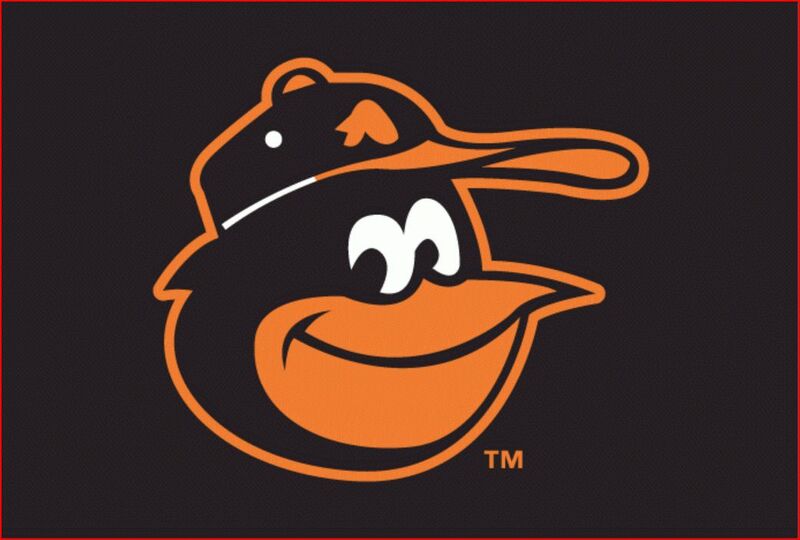 I assume the 2012 helmets will have the new version of the Cartoon Bird stuck to them. Just for fun, here’s the whole dang family! 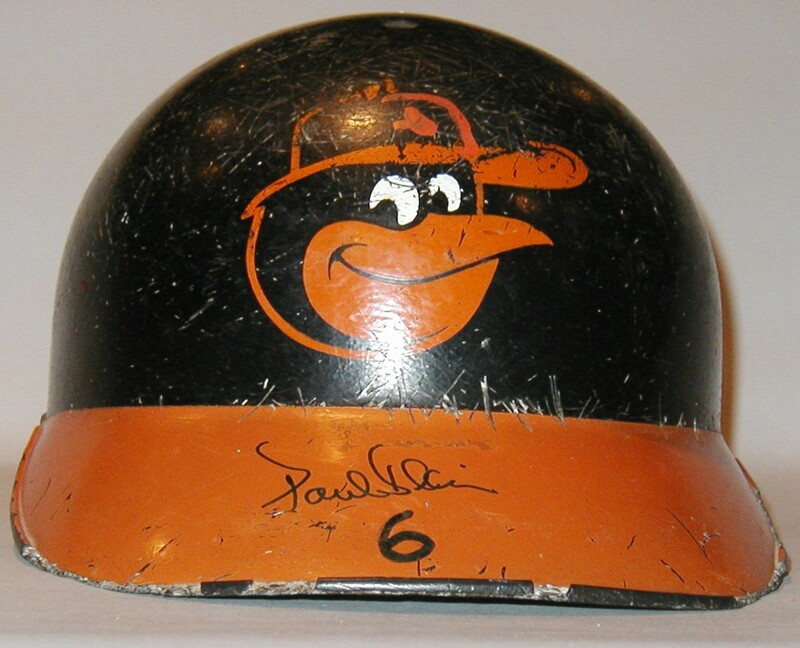 Awesome Orioles collection, where I found the game-used helmet and cap images used in this blog. 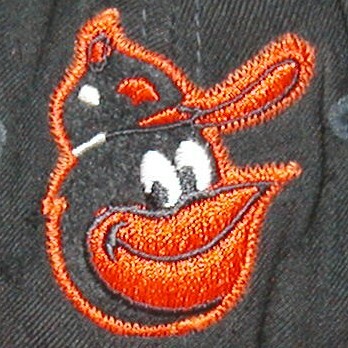 My favorite team, The Baltimore Orioles! 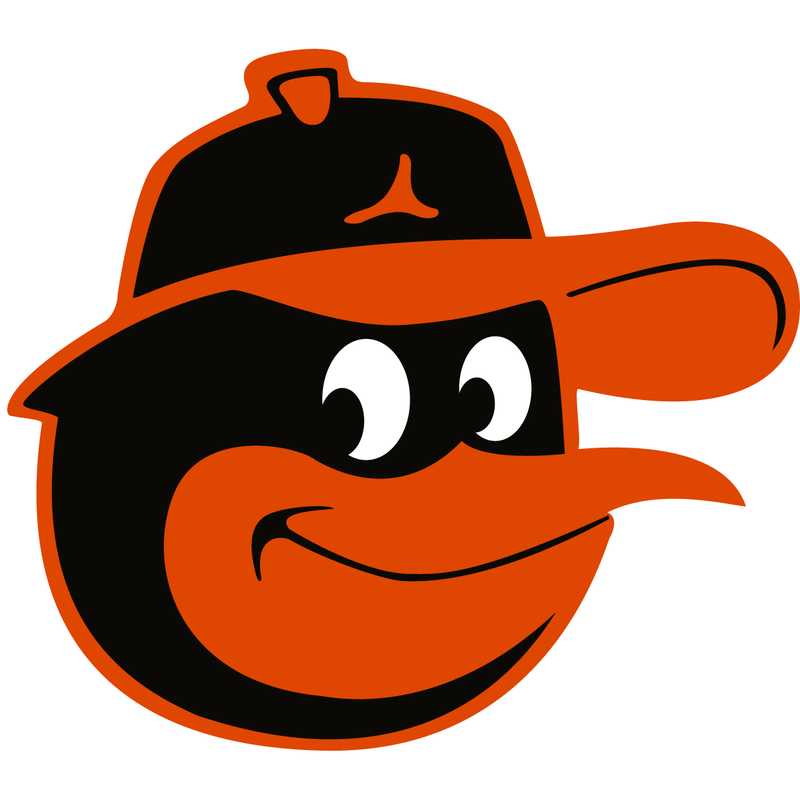 They haven’t had a winning season since 1997, so lately I’ve shifted my attention to my favorite logo of all time, The Cartoon Bird. 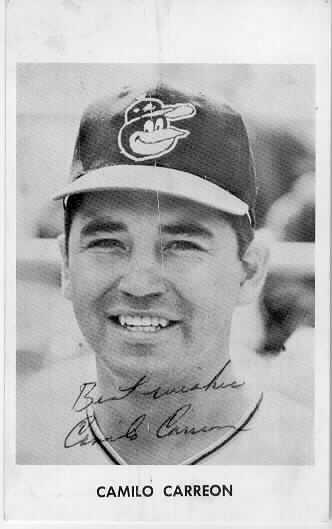 That friendly, smiling, feathered chap that perched atop the Orioles caps from 1966-1988. But don’t let his friendly smirk and soft feathers fool you, he will show no mercy. 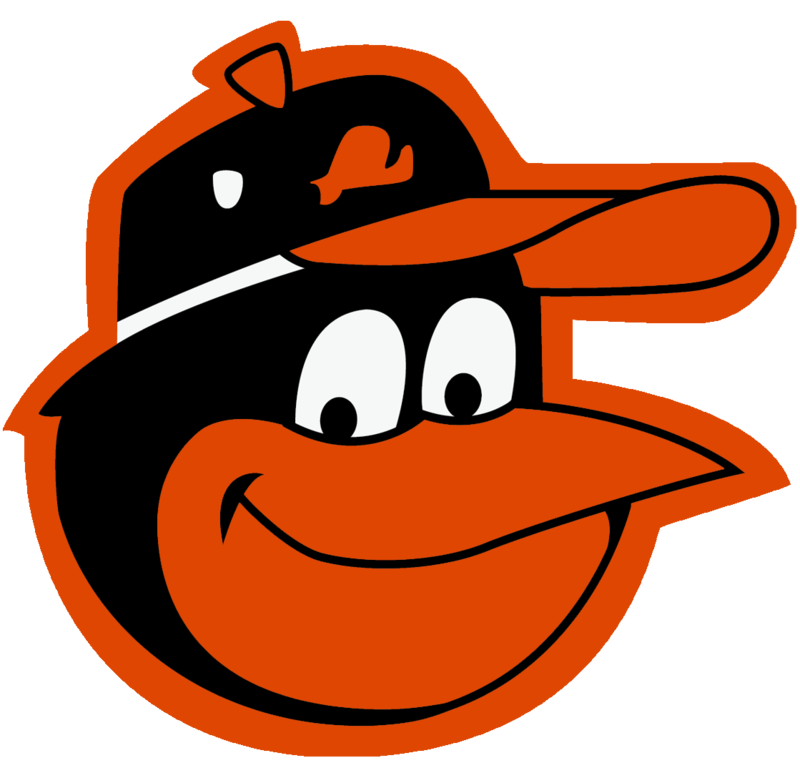 The Cartoon Bird logo has 19 out of 23 winning seasons. That includes 7 trips to the ALCS, 6 pennants and 3 World Series championships. 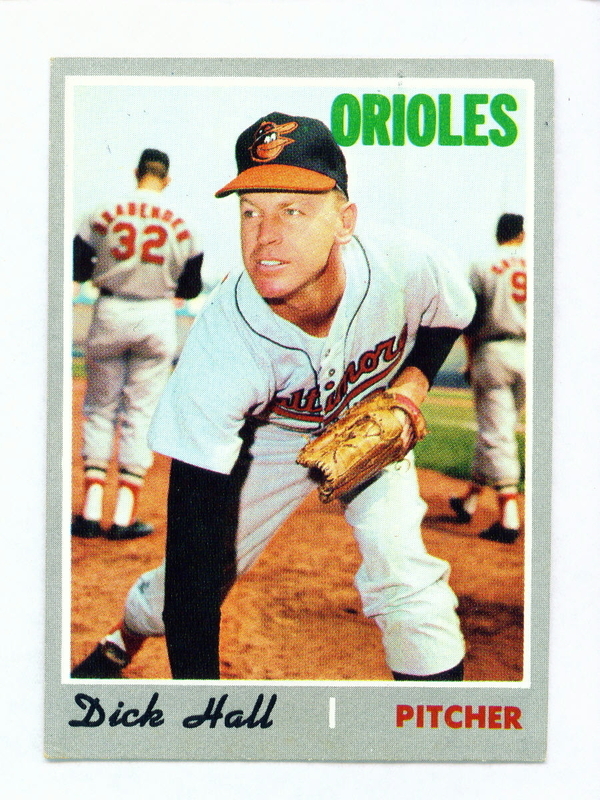 Not to mention, the Orioles were the winningest team in all of baseball during that span. 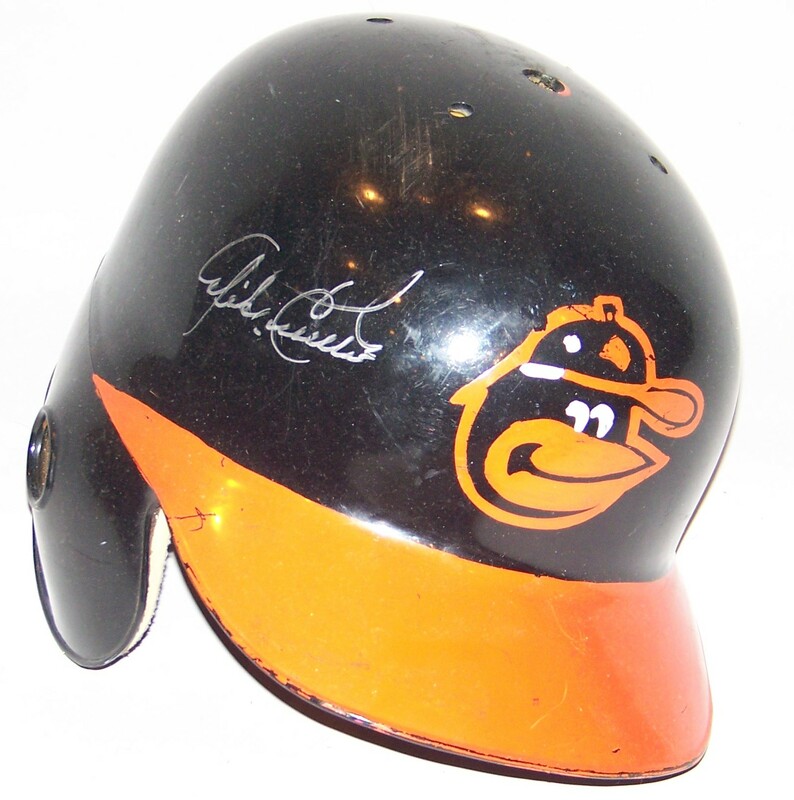 This is a Mike Cuellar game-used cap, made by Wilson (Wilson caps were manufactured by New Era). This is Mark Belanger’s cap. 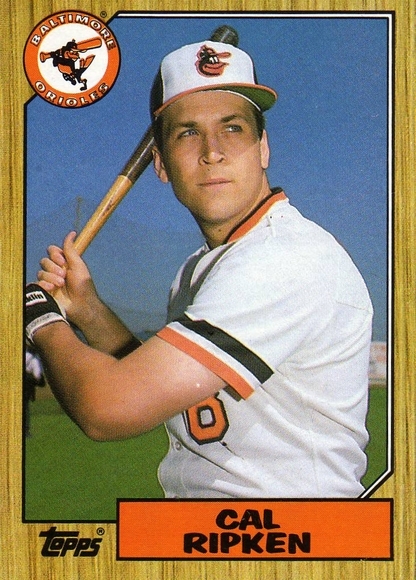 I haven’t seen any pictures of actual players wearing this cap. The subtle differences between the two logos might be because this one was made by the KM Pro Cap Company, but both Wilson and KM Pro apparently had their embroidery supplied under private label by The Roman Art Embroidery Corp., so who knows? 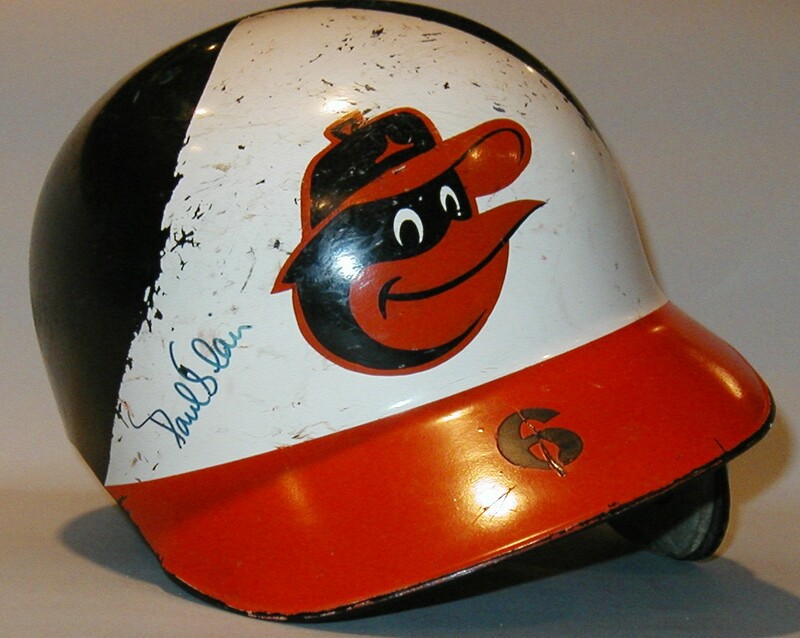 Made by Wilson, this is 1st base coach George Staller’s game used cap from 1970. 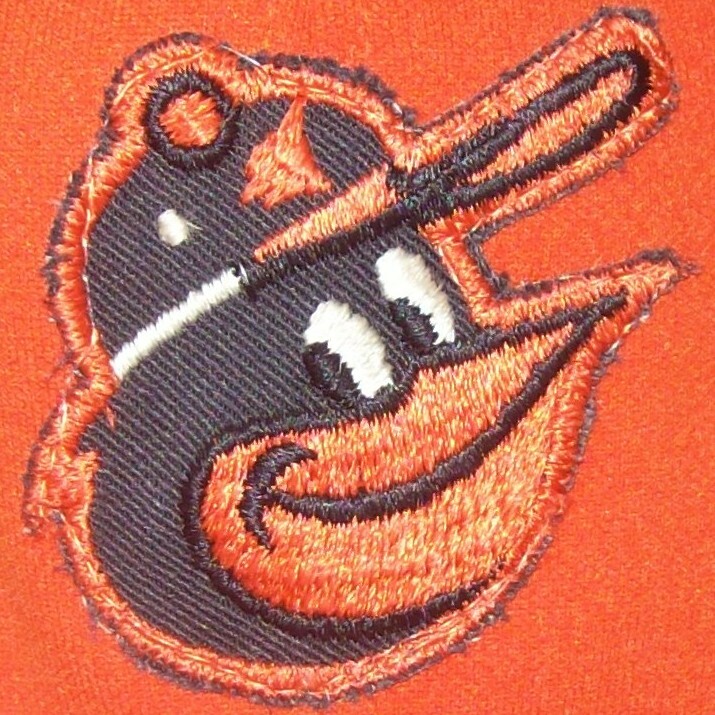 I’ve never seen any cards or pictures from ’66-’74 with this logo either. Also made by Wilson, it’s another Mike Cullar game used. 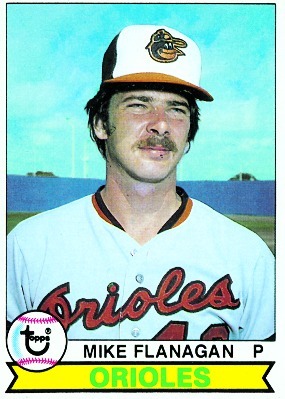 I’ve seen this version of the bird on pictures of the Orioles from 1974. 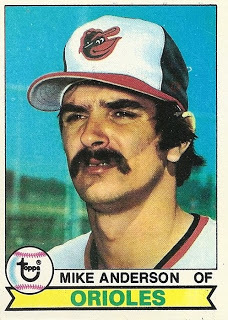 All of ’66-’74 game-used caps I’ve come across have been made by Wilson, but then there’s that one I found from KM Pro. 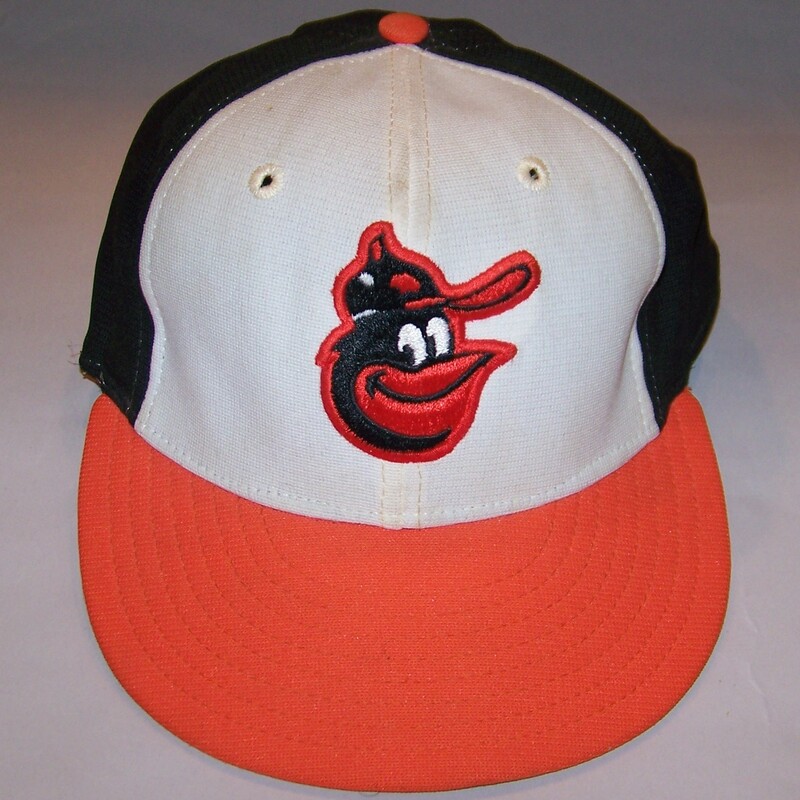 I’d like to know exactly when Wilson and KM Pro had the rights to manufacture Orioles hats during these years, and whether or not they were exclusive back then. Notice the black stitching around the white panel. Also, if you look closely at the logo, you’ll realize that it’s basically an enhanced version of the logo on the black crowned ’74 cap. 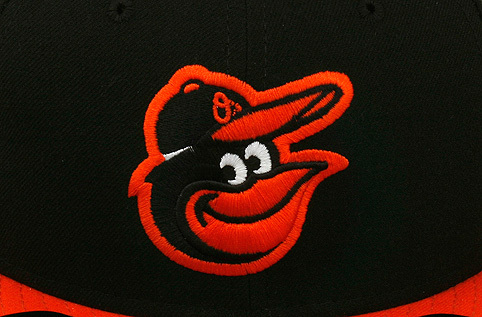 This logo is bigger overall, the features are slightly larger and the whole thing is angled up more, making his beak point higher. Made of 100% Nylon, these were manufactured by the AJD Cap Company, based at the time in Richmond, Virginia. 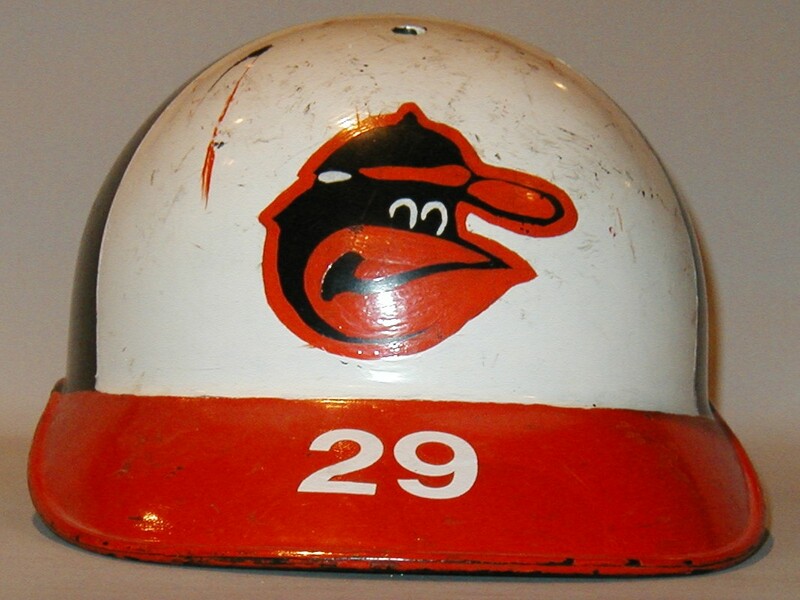 This is Tommy Harper’s 1976 game-used cap, also made by AJD. Slightly smaller than the previous logo, this logo was also featured on the white panel caps. 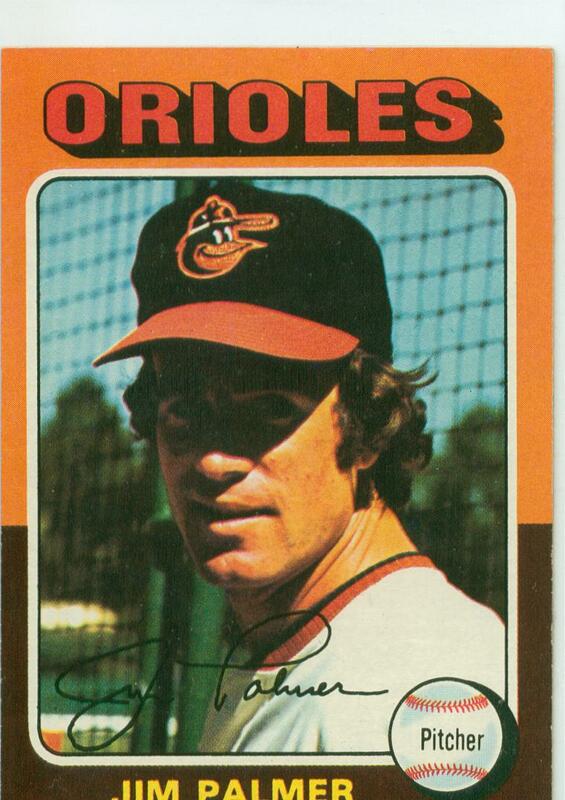 In fact, it’s the same exact logo design as the ’74 logo with a black outline added. 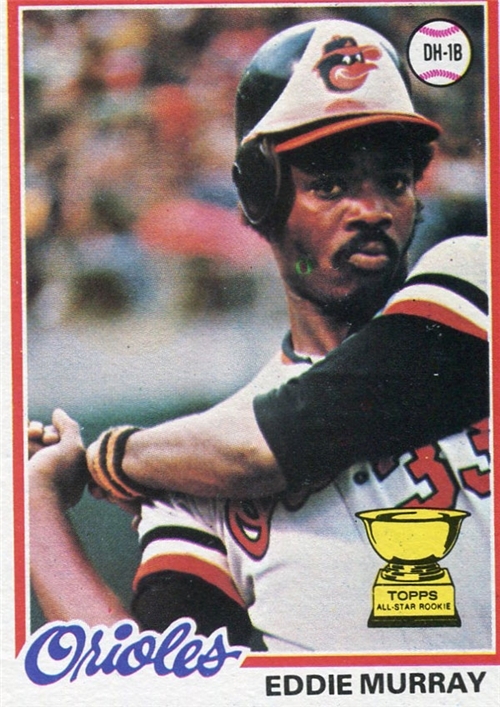 Going by my Topps baseball card references, these two logos would stay on the white paneled cap on through to about 1978. 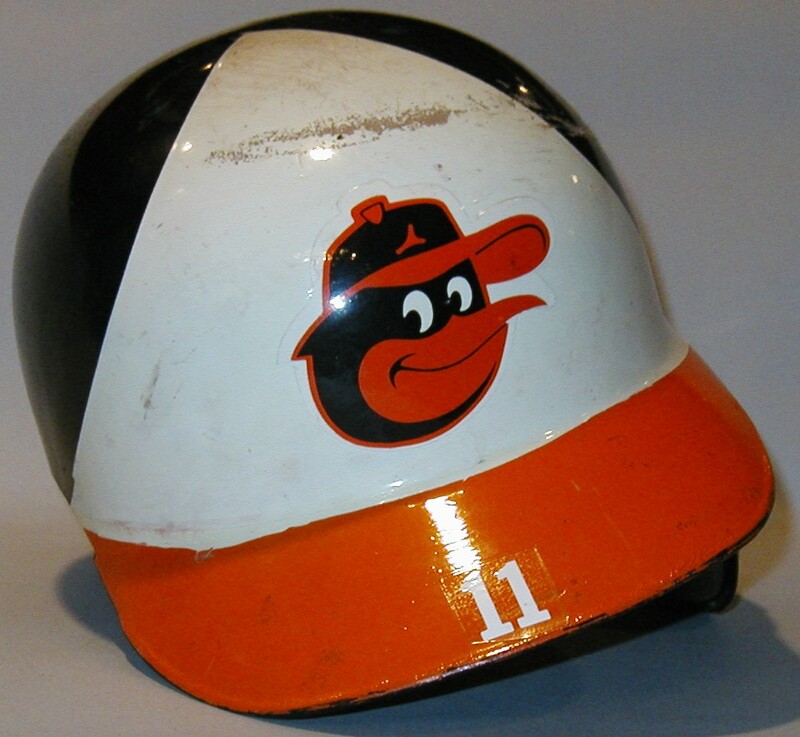 This is a Doug DeCinces game-used from 1978. 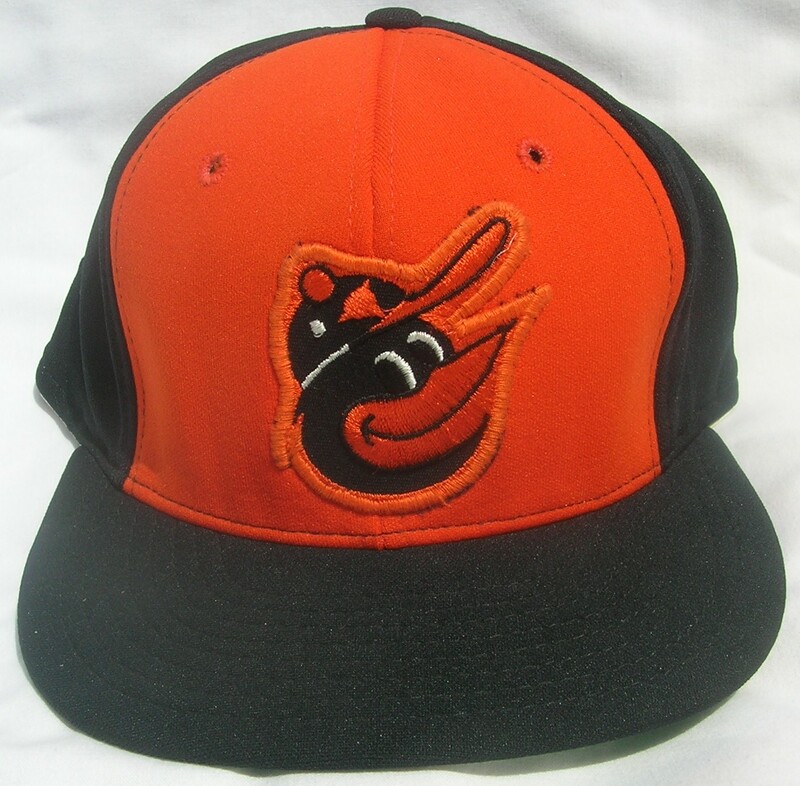 Notice that this logo is the same as the KM Pro logo from above, but the button on the birds cap is black instead of orange, and the whole head is outlined in black. 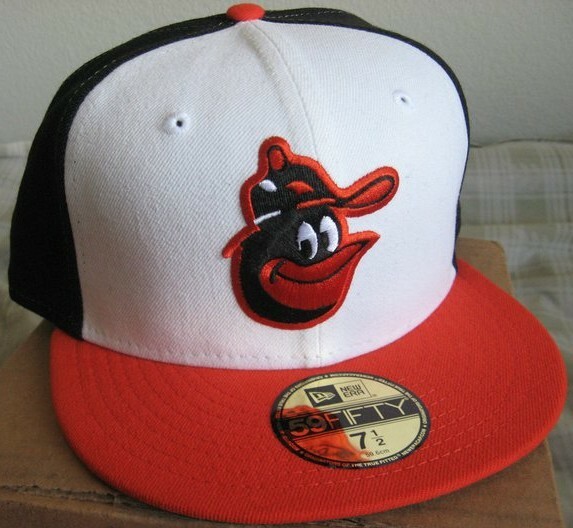 The similarities between these two logos make sense because this cap is made by the Roman Pro Cap Company (the former embroidery company mentioned above). They began manufacturing their own caps when KM Pro went out of business. 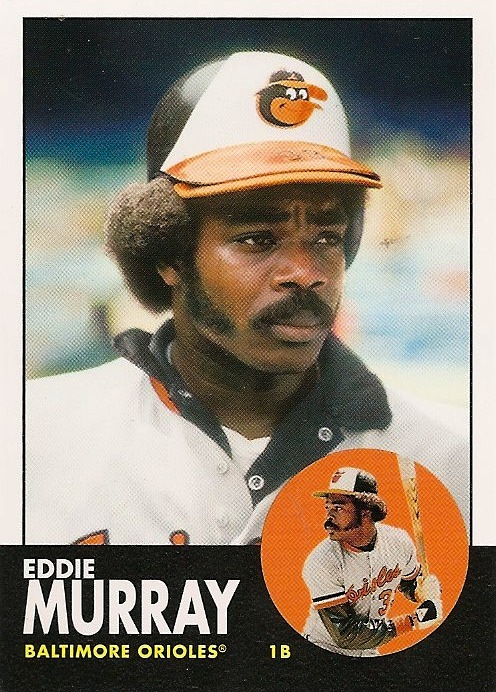 As I mentioned earlier, the photographs for the Topps cards back then were usually taken the previous year, or during Spring Training of the same year, so I assume they used this hat in 1978. 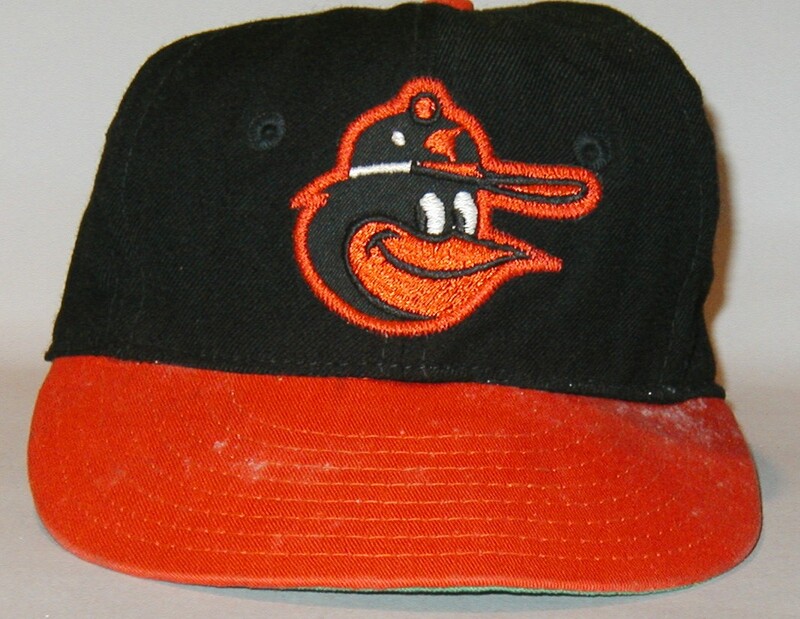 This is Cal Ripken’s cap. It’s made of Nylon, with clear nylon stitching, however, it’s a much thicker weave than the AJD caps above, which were also made with Nylon. 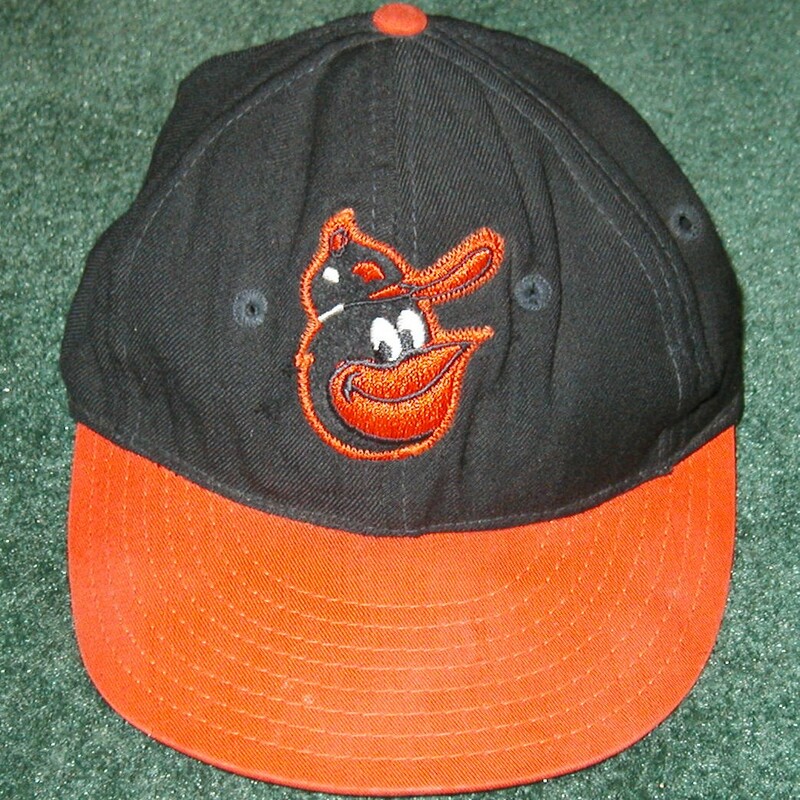 This cap was worn through the 1988 season. 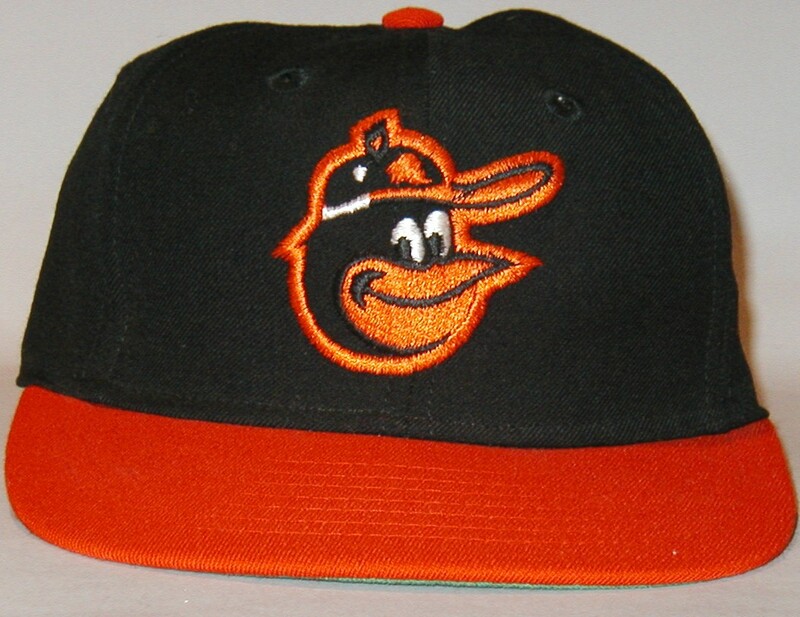 This would be the final Cartoon Bird hat, before they switched to the ornithologically correct Oriole logo in 1989. 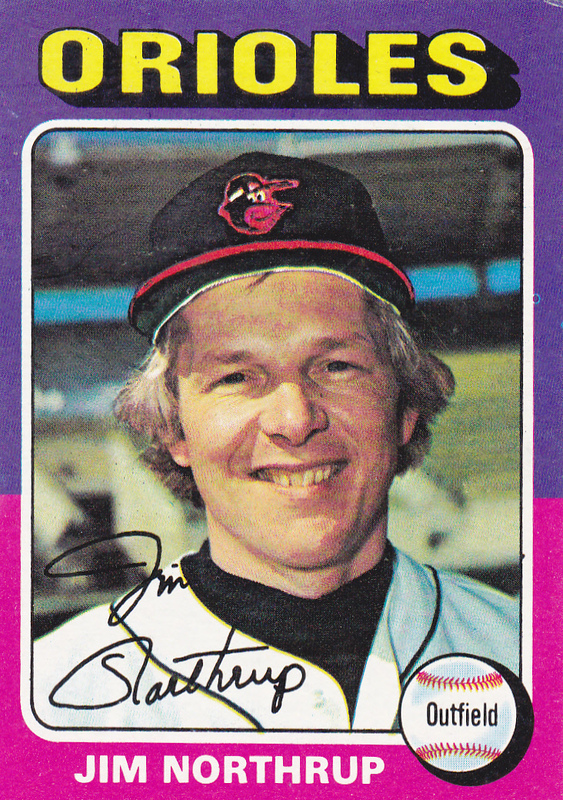 Notice that it’s the same logo that’s on George Staller’s 1970 cap, above. 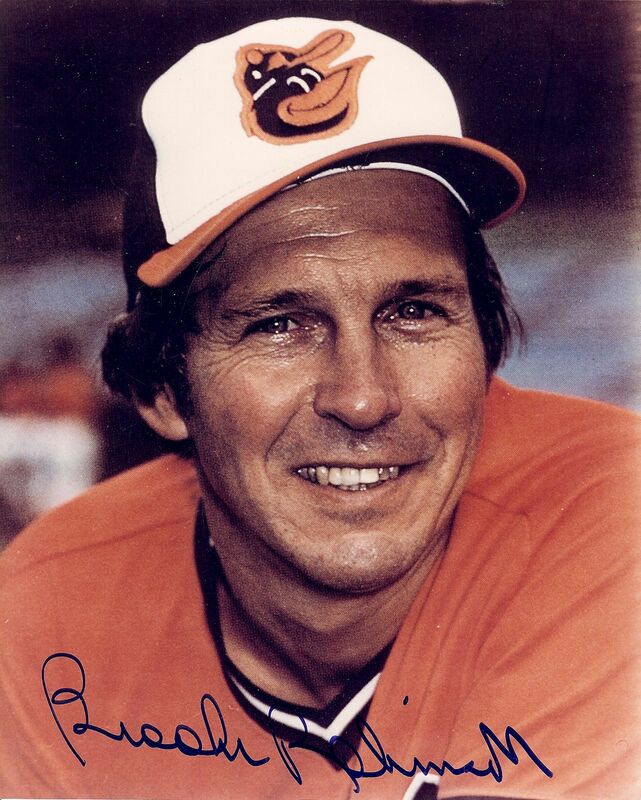 Again, it would help to know exactly when AJD, Roman Pro, and New Era were contracted to make caps for the Orioles during this time, because there seems to be overlap for some years, so it gets a little confusing trying to figure out the exact chronology. 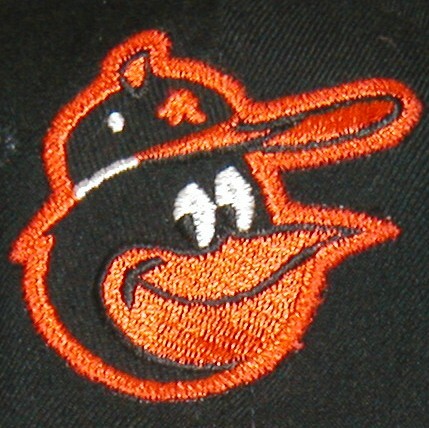 1966-1974 – This is the logo you see most often on the black crowned caps. I think it’s pretty safe to call this one THE ’66-’74 cap logo. Made by Wilson. 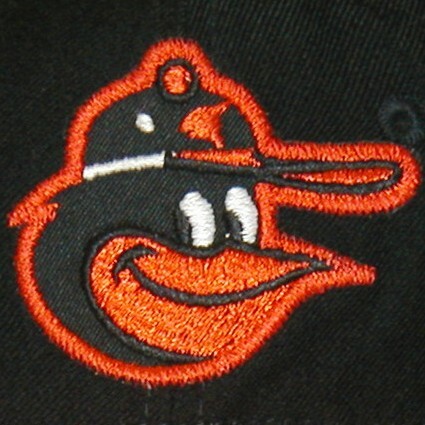 1974 – This logo seems to show up on the last year of the black crowned caps in ’74. 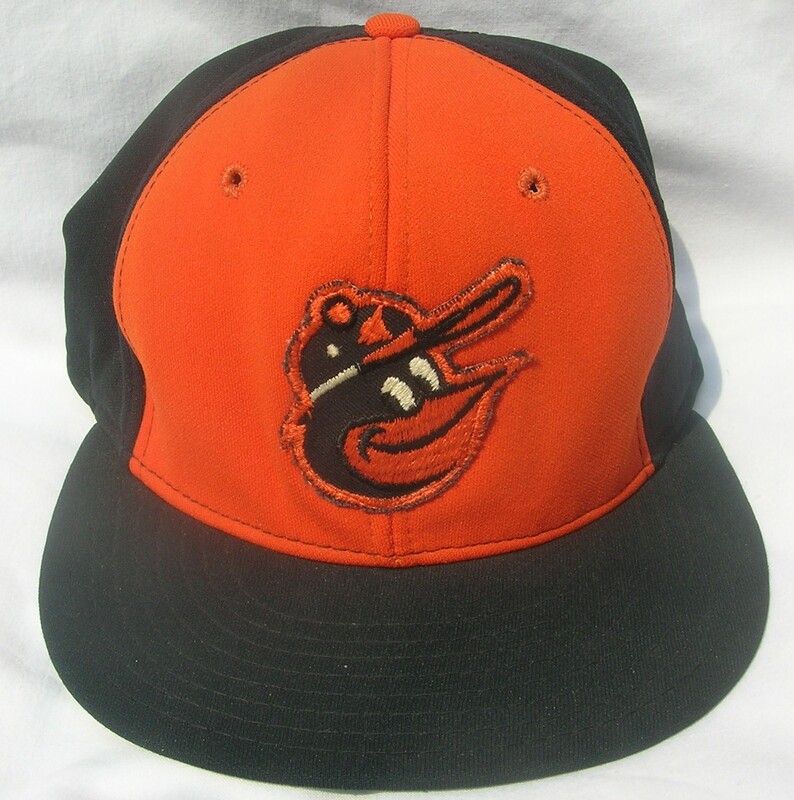 This same basic design would remain on the caps through the transition to the white and orange panels. Also made by Wilson. 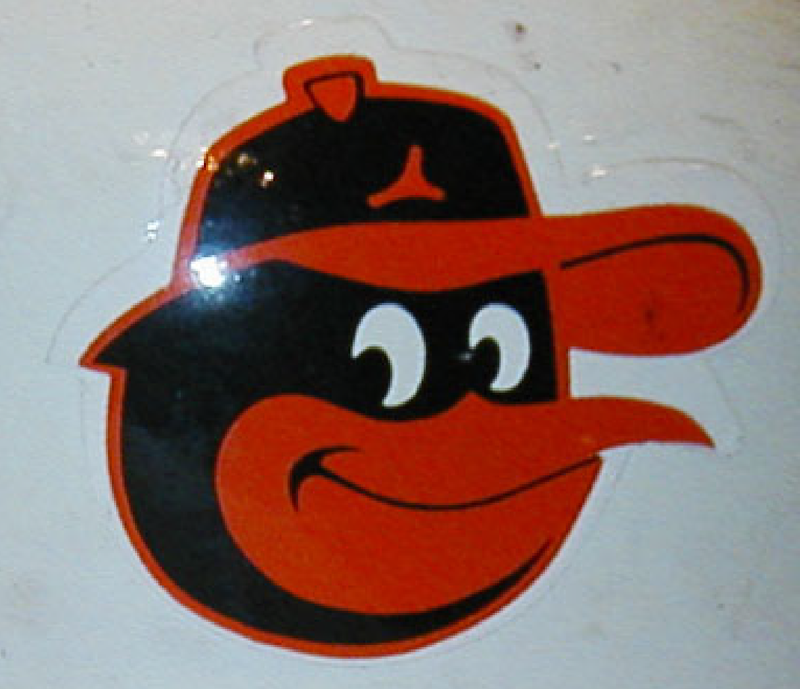 1975-1978 – Logo used on both white and orange panel (’75-’76 only) alternate. Made by AJD. 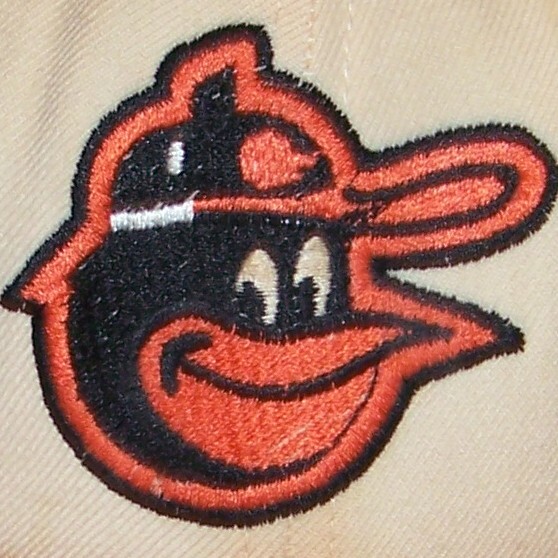 1975-1976 – Logo used on both white and orange panel (’75-’76 only) alternate. Made by AJD. 1977-1978 – Made by Roman Pro. 1979-1988 – Made by New Era. 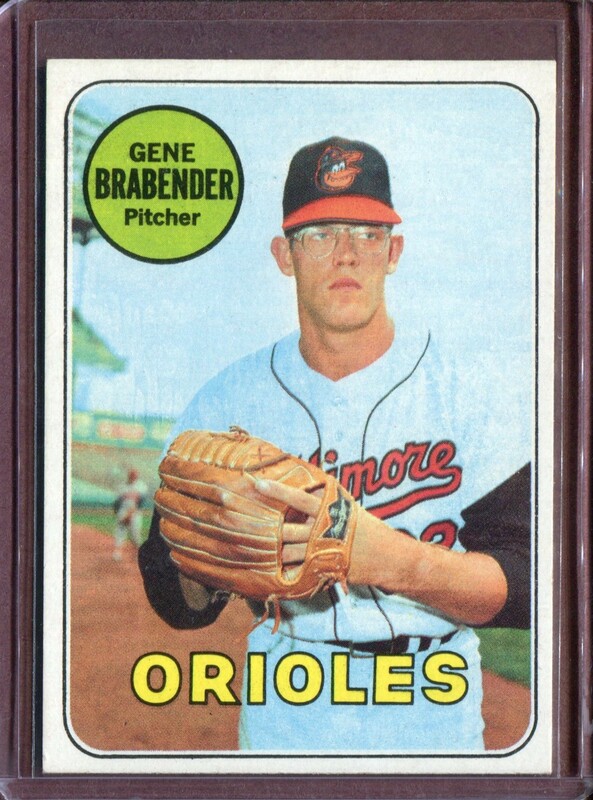 I have yet to find any photographs of players wearing these. Could they have been prototypes or samples of some sort, given out in limited supply? Except for the top and bottom left, all the logos basically match up with each other. Who knew there were at least 4 different, distinct variations of this guy over the years?! 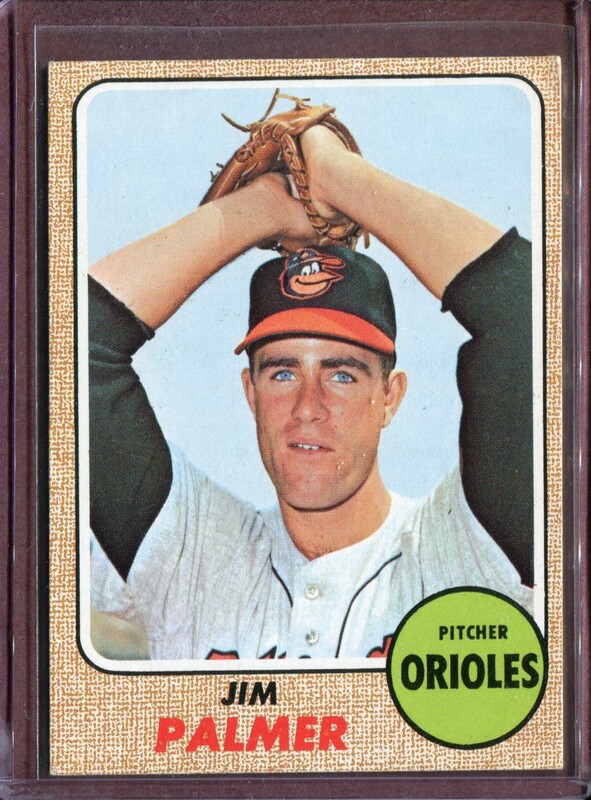 I think it’s interesting that all the versions appeared at one time or another on the 1966-1974 black crowned cap, and 3 of the 4 were made by the same manufacturer, canceling out the possibility that the variations were caused by switching companies. Now, the reason I titled this The Forgotten Birds, is because the only bird people seem to remember nowadays, (if they even realized there were differences in the first place) is the ’79-’88 bird. 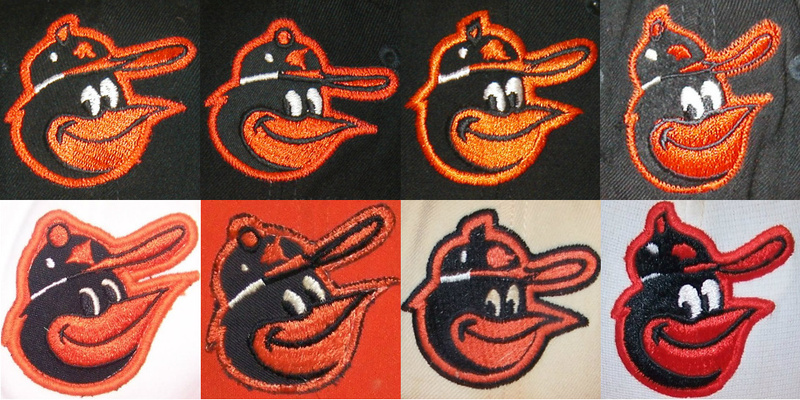 All throwback merchandise today only features variations of that particular bird. They all look like decent caps, but if you’re a stickler for detail, like me, you’ll see that they all have the wrong logos. 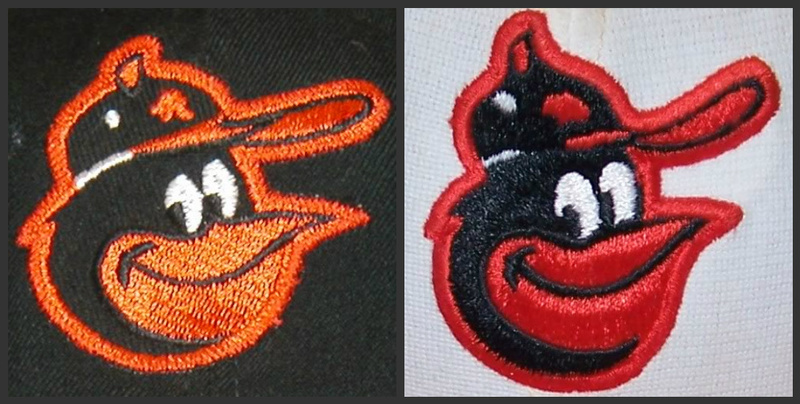 Some might really consider this nitpicking to the extreme, but the replica logo on the right, while the embroidery is more refined, isn’t quite as round and symmetrical as the original, particularly the line along the bottom left. 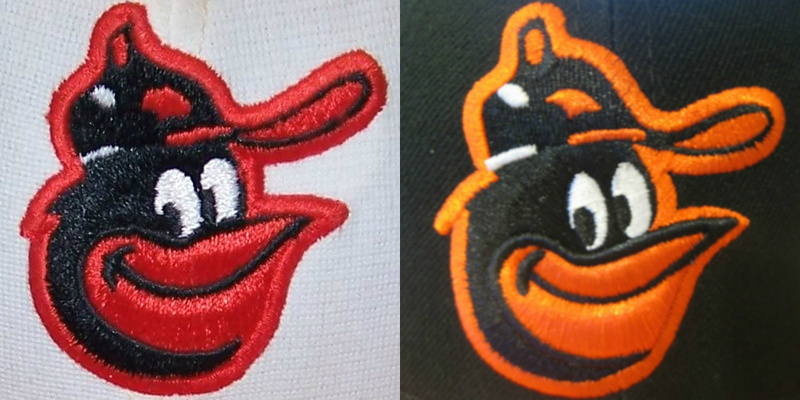 Other minor differences include the button on his cap and the eyes. The unveiling should be later this month, and I can’t wait! 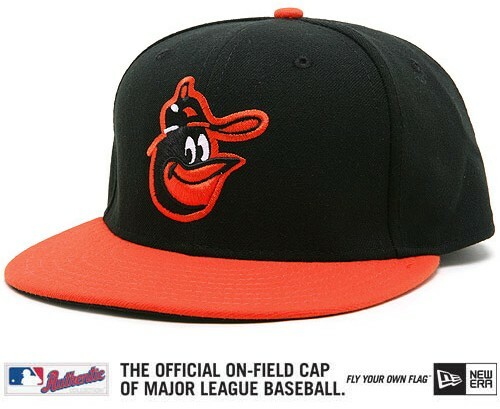 I, for one, am glad to hear that they are designing a new logo, that fits in with the old logos, rather than use an old version that isn’t exactly correct, like they do with the Cooperstown Collection and TBTC “replica” caps, as I’ve pointed out above. Please drop me a line for comments or if you can add any more information. 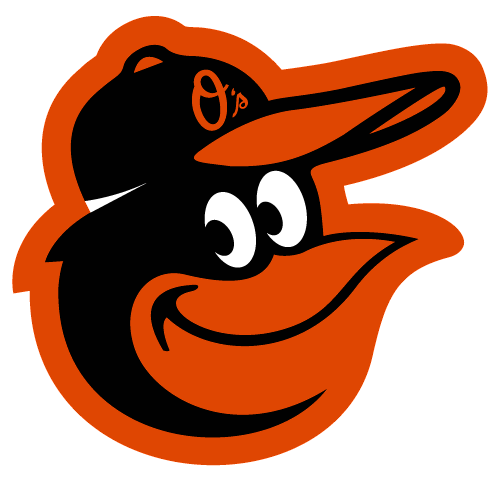 Click here for my brief article about the Orioles Cartoon Bird helmet logos. 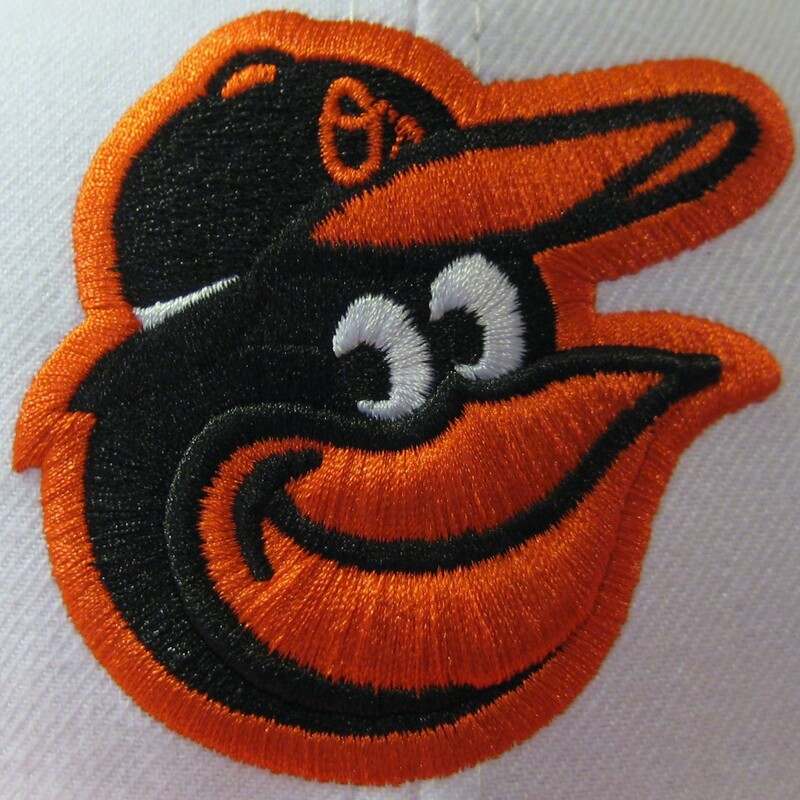 Click here for a recently discovered Orioles Cartoon Bird cap logo. 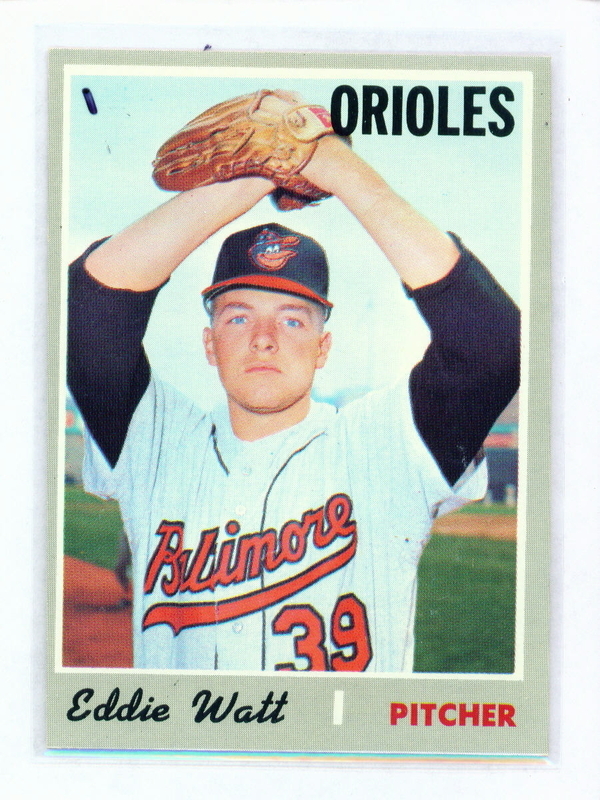 Parkway Pastimes – Awesome Orioles collection, where I found most of the game-used cap images posted above. Ryan Sullivan of pasteinplace.com for providing his “Lucky Bird” analysis chart. Matt Strackbein – Graphic Design, Production Artist, Comic Book Creator – For converting the photographed logos into graphic images. Click here for a brief article about converting the logos to graphic images. The Ballcap Blog Where I found information about the different cap companies. 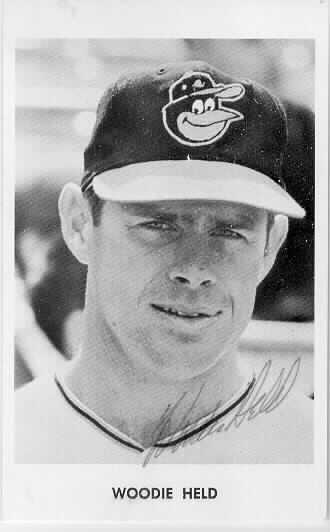 Neal, for providing “The Bird Is Back” banner. Clint Farrell of www.ProCapRepair.com, for providing pics of his absolutely pristine AJD caps.